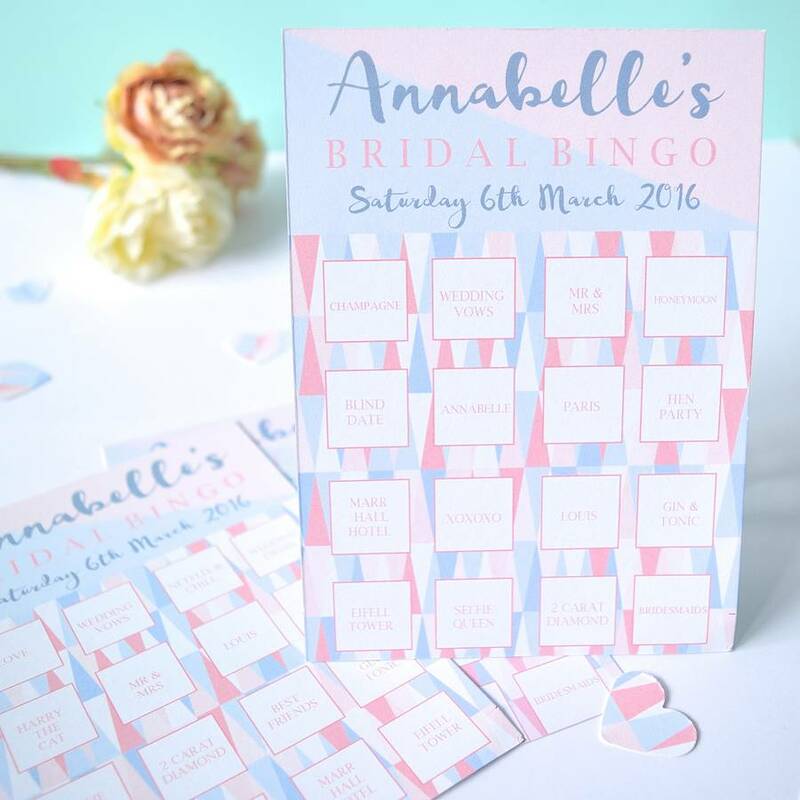 Break the ice at your hen party with a game of Bridal Bingo, personalised, with a stylish geometric design. Looking for a hen party activity that's easy to organise, personal to the bride-to-be and stylish to boot? Look no further! 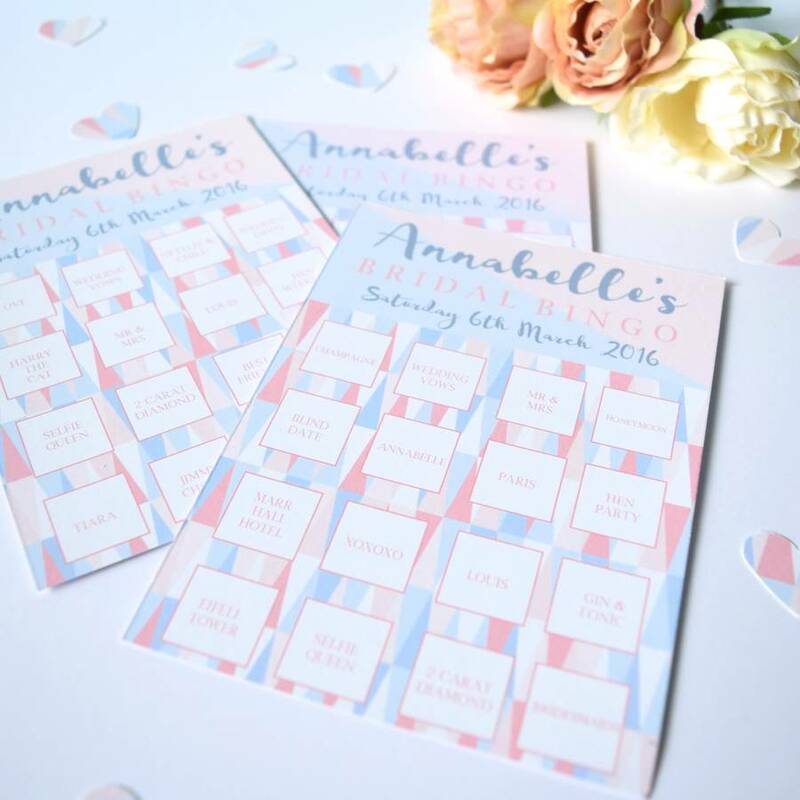 Our Bridal Bingo game comes in a chic geometric design and can be personalised so the words on the bingo card are personal and meaningful to the bride-to be. Simply let us know the words you would like included on the bingo cards (we will fill in any blanks with wedding-y words! ), the bride-to-be's name and the date of her hen party. We will create your bespoke hen party bingo cards and voila! The bride will be bowled over by your thoughtful, personal activity, and the other hens wowed by the sylish design! So far, so simple. Who knew organising a stylish and personal hen party would be this easy! 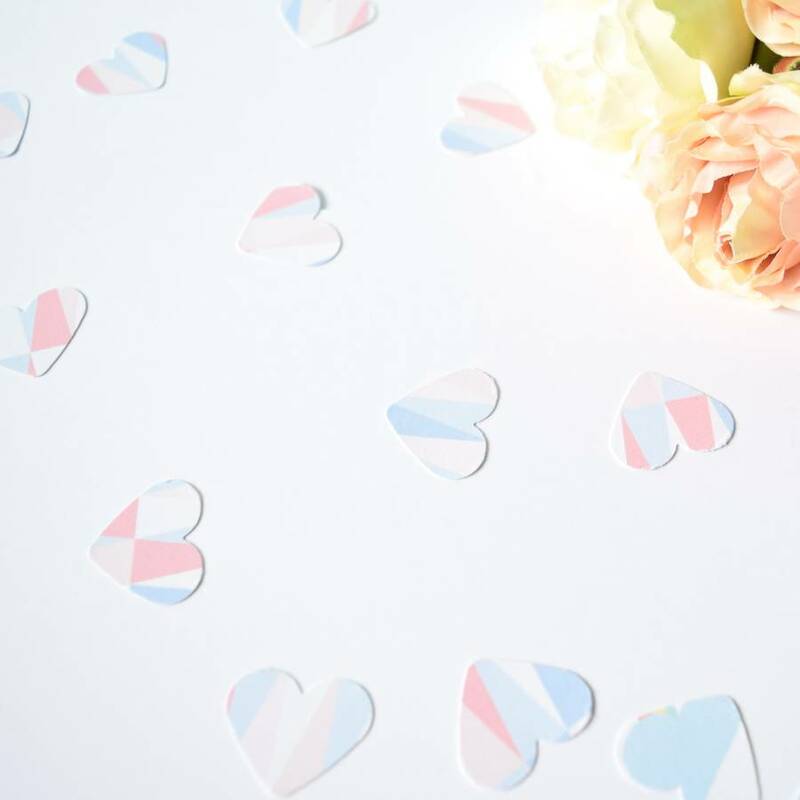 You can even order the matching geometric heart table confetti! 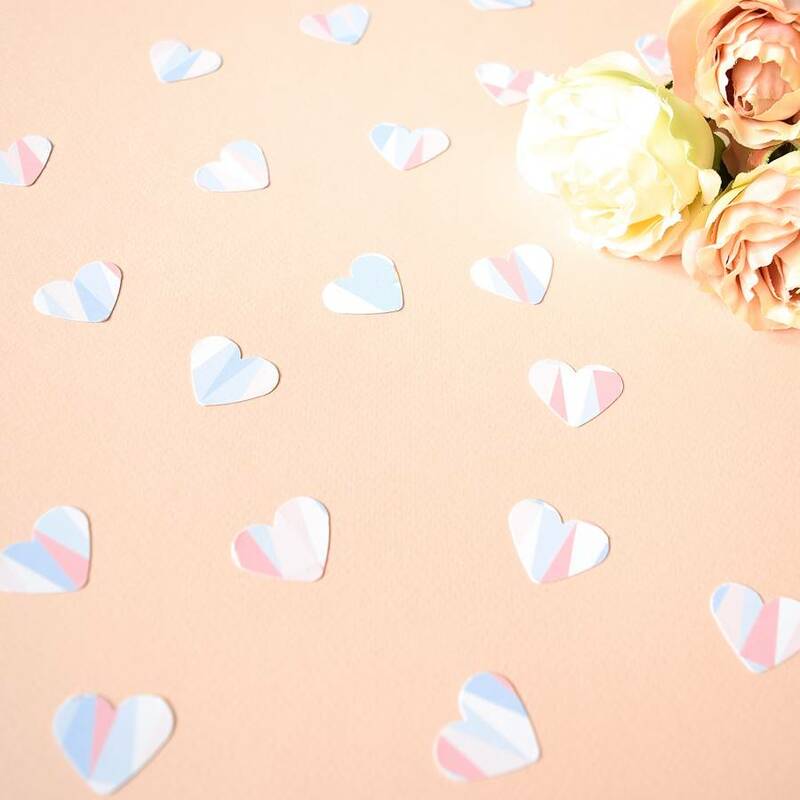 Each pack of confetti contains approximately 200 hearts. You will receive 8 personalised Bridal Bingo game cards; personalised with the bride's name and the date of the hen party. The cards will be customised with the words you give us. Any hen with the same word on her game card, crosses it off. The first hen to cross off all the words on her game card shouts 'Bingo' and is the winner. There are lots of variations on the game. Geometric Heart Table Confetti: Each heart is 1" in size. Pack contains approximately 200 hearts.